EghtesadOnline: Iran traded 27.4 million tons of non-oil commodities worth $13.84 billion with six Persian Gulf nations, namely Iraq, the UAE, Kuwait, Qatar, Bahrain and Saudi Arabia, during the first seven months of the current fiscal (March 21-Oct. 22) to register a 19.92% and 10.96% growth in tonnage and value respectively compared with last year’s corresponding period. Data released by the Islamic Republic of Iran Costumes Administration show Iran’s exports to the Persian Gulf nations totaled 26.03 million tons worth $10.69 billion during the period, indicating a 26.58% and 43.2% increase in tonnage and value respectively year-on-year. Imports stood at 1.37 million tons worth $3.15 billion, down both in tonnage and value by 39.92% and 37.06% respectively YOY. Iran’s non-oil trade with Persian Gulf littoral states amounted to $23.89 billion in the last Iranian year (ended March 20, 2018), indicating an increase of 16.81% compared to the year before. Exports of non-oil goods to these six countries amounted to $13.69 billion last year, registering a decrease of 1.58%, while the country’s imports stood at $10.20 billion up by 55.96% compared to the year before, according to Financial Tribune. Iran mainly exported gas condensate, liquefied natural gas, low density oil, hydrocarbon gases, hydrocarbons, copper cathode, tomatoes, iron and non-alloy steel ingot, household cleaning detergents, bitumen, ice cream, iron/steel pipes, semi-finished iron/non-alloy steel products, floorings, and watermelons to the Persian Gulf nations. In exchange, major commodities imported into Iran from the six nations included cellphones, butter, steam turbines parts, turbojet parts, frozen boneless cow parts, benzene and machinery. Iraq was Iran’s top export destination among Persian Gulf nations during the period followed by the UAE, Kuwait, Qatar, Bahrain and Saudi Arabia, as the UAE was the top exporter of goods to Iran followed by Iraq, Kuwait, Qatar and Bahrain. In terms of total trade value, the UAE topped the list among the six nations with bilateral trade standing at 11.52 million tons worth $7.73 billion, down by 1.97% and 1.8% in tonnage and value respectively YOY. The UAE was Iran’s second major trading partner in the world during the seven months. Exports to the UAE amounted to 10.21 million tons worth $4.63 billion, down by 0.39% in tonnage and up by 32.51% in value YOY. In return, The UAE exported 1.31 million tons of commodities worth $3.1 billion to Iran during the seven months, down by 7.97% and 24.76% in tonnage and value respectively YOY. The UAE was Iran’s second export destination and the top exporter of goods to Iran among the Persian Gulf countries. In addition, the country was Iran’s third export destination and the second exporter of goods to Iran in the world. Major Iranian commodities exported to the UAE were gas condensate, low-density oils, oil byproducts/mineral oils, hydrocarbon gases, hydrocarbons and copper cathode. The UAE mainly exported cellphones, butter, steam turbines parts, turbojet parts and frozen boneless cow parts to Iran. Iraq was Iran’s second biggest trading partner among the Persian Gulf states during the seven-month period. Two-way commercial exchanges stood at 12.9 million tons worth $5.76 billion, registering a 64.16% and 53.48% growth in tonnage and value respectively YOY. Iraq was Iran’s third global trading partner during the period. Iran exported 12.84 million tons of goods worth $5.73 billion to the neighbor, up by 65.29% and 54.80% in tonnage and value respectively YOY. Iran’s major exports to Iraq included liquefied natural gas, oil byproducts/mineral oils, household cleaning detergents, tomatoes and ice cream. This is while Iran imported 52,990 tons of commodities worth $31.5 million from Iraq during the same period, down 38.13% and 39.82% in tonnage and value respectively YOY, which mainly included low-density oils, cans, battery waste, aluminum alloy and cellphones. The country was Iran’s top export destination among the six nations and the second major exporter of goods to Iran among Persian Gulf countries and the 42nd exporter to Iran worldwide. Mutual trade between Iran and Kuwait amounted to 2.11 million tons worth $172.73 million, indicating a 60.33% and 16.02% increase in tonnage and value respectively YOY. Kuwait was Iran’s 33rd trading partner in the world. Iran’s exports reached 2.1 million tons worth $163.2 million, up 60.09% and 32.73% in tonnage and value respectively YOY, while Kuwait’s exports to Iran were at 7,724 tons worth $9.52 million, up by 170.13% in tonnage and down by 63.24% in value YOY. Kuwait was Iran’s third export destination as well as the third exporter of goods to Iran among the six nations. It was Iran’s 20th export destination and the 64th exporter to Iran worldwide. Clinker, fodder, white Portland cement and iron products were Iran’s main goods exported to Kuwait, while Kuwait exported benzene, natural rubber and engines to Iran. Next was Qatar, which traded 858,731 tons of non-oil goods worth $166.73 million with Iran during the period, down 11.35% in tonnage and up by 33.16% in value YOY. Qatar was Iran’s 34th trading partner in the world. It imported 858,541 tons of Iranian commodities worth $160.56 million, down 11.23% in tonnage and up 44.02% in value YOY from Iran, and exported 189 tons of goods worth $6.16 million to Iran, down 87.11% and 55.07% in tonnage and value respectively YOY. The country was Iran’s fourth major export destination and the fourth exporter of goods to Iran among the six countries. It also was Iran’s 23rd export destination and the 72nd exporter to Iran in the world. Exports to Qatar included bitumen, tomatoes, sheep, floorings, hot rolled iron/non-alloy steel bars and white Portland cement. Iran mainly imported chemicals, devices related to chemical processing, mechanical excavator, serum and liquefied helium. Iran’s fifth trading partner among the Persian Gulf states was Bahrain. Iran-Bahrain trade amounted to 3,883 tons worth $7.1 million, registering a 10.88% and 12.34% decrease in tonnage and value respectively YOY. Bahrain was Iran’s 91st trading partner in the world. Exports to Bahrain stood at 3,858 tons worth $6.74 million, down by 8.05% in tonnage and up by 8.81% in value YOY. Iran imported 24 tons of goods worth $362,034 from Bahrain during the period, down 84.51% and 81.03% in tonnage and value respectively YOY. The country was Iran’s fifth export market and also the fifth exporter of goods to Iran. It was also Iran’s 69th export destination and the 105th exporter to Iran worldwide. Bahrain mostly imported floorings, saffron, pistachio, handicrafts and Persian melons from Iran. On the other hand, Iran mostly imported medical machinery, film metalizer and antioxidant. 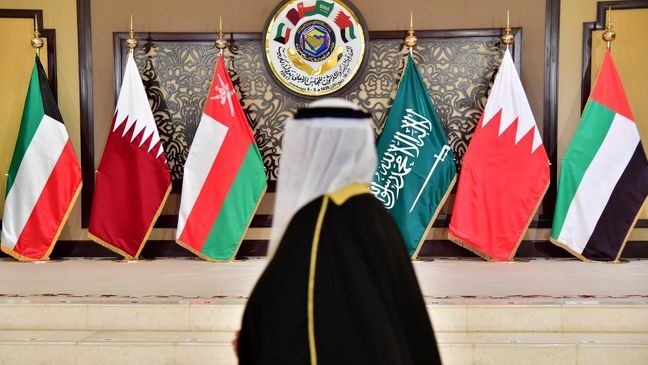 Saudi Arabia was last on the list among Persian Gulf nations to do trade with Iran, as bilateral trade witnessed a staggering 94.13% and 94.54% decline in tonnage and value respectively YOY. The Arab nation was Iran’s 150th trading partner in the world. Iran only exported 35 tons of goods worth $107,997 to the Arab kingdom during the seven months, down 85.07% and 82.36% in tonnage and value respectively YOY. Saudi Arabia did not have any exports to Iran during the period. Iran's exports included truck bodies. Saudi Arabia was Iran’s 128th export destination in the world in the seven months under review.